Smoldering smoke takes on a sinister air as it curls and drifts above a macabre collection of sneering skulls. 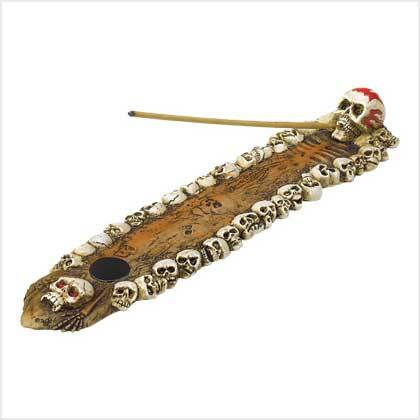 Frightfully delightful hands-free holder keeps your favorite incense stick alight, keeping ashes neatly trapped within the skull-bordered elongated tray. Polyresin. 9 3/4" x 2 1/4" x 1" high. Incense not included. 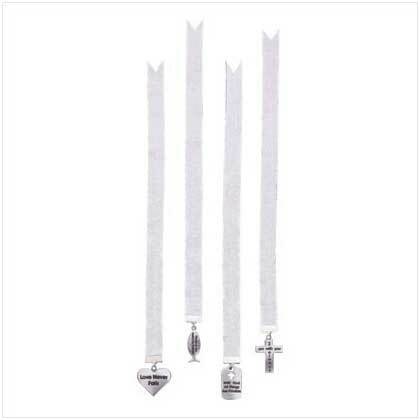 Retail Price: $3.95.